Moving into a brand new home is very exciting. Not only do you have the opportunity to enjoy a dream living space complete with your favorite features and the latest appliances, but you’re also looking forward to decorating your new walls and living area. 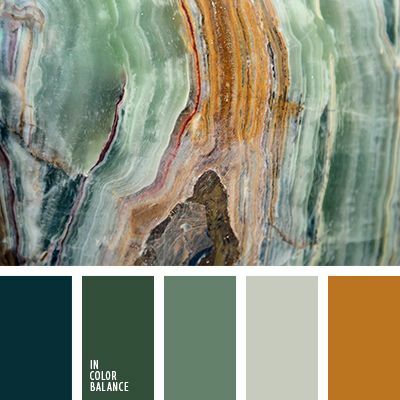 Here are some helpful tips for choosing the perfect color palette. In your brand new home, there is a very strong likelihood that a lot of your rooms share walls. For example, do you have an open kitchen that merges seamlessly into your dining room? Can you see your dining room from your living room? Whenever space is shared, it is important to note this. You will want to subtly blend colors in different rooms, or use neutral tones on shared walls and shared areas, such as hallways. This will not only keep things easy on the eye, but will naturally open up the space rather than breaking it into smaller, individual chunks. Look around your home and the rooms that you want to add color to. Surely, there is already a pattern in your home that you like or that is a large focus of the room. Perhaps you have bold throw pillows, a patterned rug that stands out, or even a large piece of art. Find the piece that’s the noisiest, identify the primary color within, and then base your color palette on this. For example, a rug with tones of blues that you love is a strong indication that blues should be the focus of the room. Once you decide on a color, don’t just use that color. Instead, choose different shades of that color to decorate your room. That doesn’t mean go with a dark blue and a light blue, but instead choose different variations of light or dark; colors next to each other on the color wheel work great. An absolute must when choosing a color palette is to go with colors that you like; the last thing that you want to do is choose a color that doesn’t make you feel good simply because you saw it in a designer magazine or it was recommended by someone else. Your home is your space, and as such it should be tranquil, relaxing, and reflective of your energy. If you’re torn about what colors work best for you, turn to your wardrobe. Most people wear colors that make them feel or look good – this should be your same approach when choosing a color palette for your home. Notice that you wear a lot of greens? Prefer neutral tones? Love big, bright oranges and pinks? Stay tuned for part two of choosing the perfect color palette for your brand new home! At Simplicity Homes, we’ve been building homes in communities throughout the Northwest, including in Washington, Oregon, and Idaho for years. Learn more about new home construction by contacting us today.